When you are choosing an air compressor, you are going to find that there are plenty of considerations that you will need to go over. No matter if you are looking to get an air compressor rental or snag a home air compressor for sale, these factors are going to play an important role in the process. One of the first things you need to understand is the fact that this is a tool that has a variety of uses attached to it. Individuals can use these units for everything from nail guns, to spray guns, air wrenches and even pressure cleaners. By knowing the tools you are going to be using this item for, you have a better chance of choosing an air compressor that will work for all of your needs in general. As you begin this process, there is a very important factor that comes into play. When an air compressor is listed, it will have a horsepower rating and cubic feet per minute or CFM rating listed on the machine. This information will let you know the power that it can put out and help you to match the best unit possible to the tools that you have. This then comes into play when you are looking at some of the options that you will have. 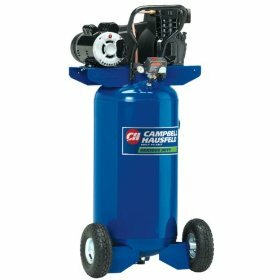 Generally, when you are choosing an air compressor, you are going to be looking at three main types. These types are designed to handle different aspects when it comes to using your tools and performing tasks around your home. One of the first types is called a compact air compressor. This is a tiny, portable unit. This does not have any fill inside of the tank and it is designed to pull in air. Contractors will usually use them for glue guns, spray guns and smaller tools that will be used on a short term basis, since the machine will generally run at a continuously rate. Single stage compressors are the next type. These will handle wrenches and tools on a smaller scale. Traditionally, they will offer users 150 PSI and will work for a more basic level of services. For many people, this is going to be one of the best choices when choosing an air compressor. Your third style of air compressor is going to be the two stage compressor. This is idea for someone who has a job that is going to require continuous pressure. The storage tank can hold more and you are going to find that tools that require a higher PSI will be ideal for most construction jobs. This is of course something you will want to keep in mind when you are looking for compressors. No matter what the job is, there is undoubtedly an air compressor that will be a perfect match for it. Take a moment to look over all the options that you have and make sure that you begin to proactively consider the one that is going to deliver the PSI level you need for all your tools and choosing an air compressor will prove to be one of the easiest tasks you will have to worry about. Keep in mind you can go above the PSI level on a tool, just not below it to be effective. 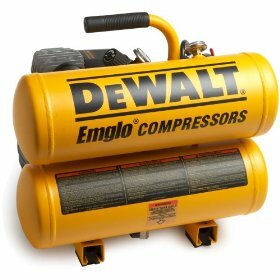 Return From Choosing an Air Compressor Page to Home - Finishcarpentryhelp.com.